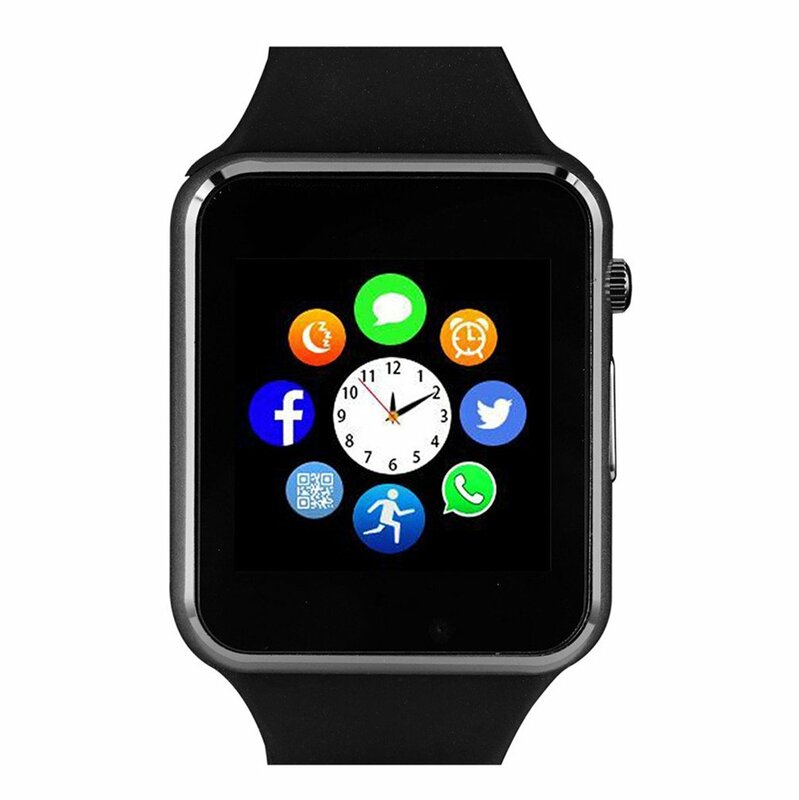 The A0 smartwatch is very sensitive and multi-functional, and the entire functions are as follows:phone calls,messages,call records,phone book,bluetooth,notification sync,remote camera,anti-lost,pedometer,sleep monitor,sedentary reminder,alarm clock,calendar,calculator,profiles,music player,file manager,camera,sound recorder, whatsapp,facebook,twitter, browser. 2． TF card supports up to 16G (not contain). 4． There are no Apps that are compatible with IOS iPhone, and the entire features are to be had with the exception of for notification sync,messages,remote capture,anti-lost. COMPATIBILITY:perfectly compatibile with Android tablets PC and smartphones, such as Samsung, Huawei, SONY, MOTOROLA, OPPO, XIAOMI, ZTE, LG, HTC, and so on.IOS system, iPhone 4 4s 5 5s 6 6s 7 7s 8 X (no synchronous APP can also be installed). OTHER FUNCTION:remote camera,anti-lost,music player,calculator,alarm clock,calendar,file manager , as well as sound recorder and built-in camera (pls insert a TF card). FITNESS FUNCTION: sleep monitoring,sedentary reminder,pedometer,record your day by day steps ,fat,speed,calorie and mileage. HD SCREEN:240 x 240 pixels resolution.1.54″ high-definition TFT LCD.high sensitive capacitive touch screen.